Thanks for being our best customer, Shell!! One of our favorite stops on the Tour is Folino Estate. Stop in! Tastings and Tours Ranked #1 by Trip Advisor!! We are ranked as the top attraction in both the New Hope and Breinigsville areas! Please click the link for more information. Whether you're a beer or a wine lover we have the perfect day planned for you . . .
My name is Linda, Co-Owner of Tastings & Tours. I have been a wine lover for many years and have enjoyed wine tasting at wineries and & vineyards all over the world. On a wine tasting trip to California, my family and I secured seats on a wine shuttle bus so we could enjoy the day and not worry about driving. 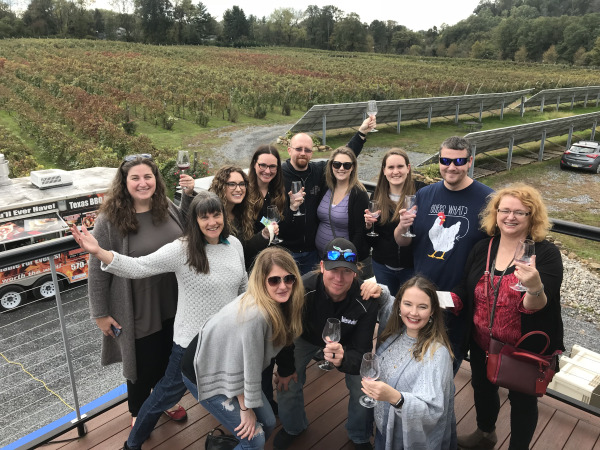 Once I got back home I kept thinking how wonderful it would be to start this type of service here in Bucks County, PA ... and so it began ... Tastings and Tours. Enjoy a carefree day while tasting and touring at some of the finest wineries, breweries and brew pubs. 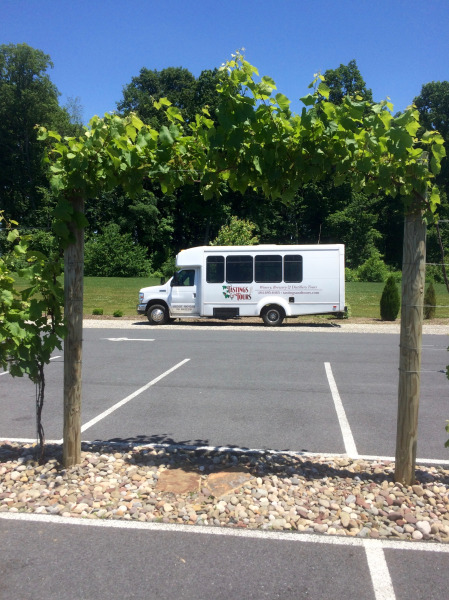 Let us do the driving so you can sit back, relax and take in the scenery and of course, enjoy sampling at wineries and breweries with no worries! Our special partnerships will provide you with all inclusive, private VIP tastings not normally offered to the general public. Our VIP tours are currently being offered in both Bucks and Lehigh/Berks County, PA as well as Cape May, NJ. Cape May is home to many award-winning wineries in New Jersey. Join the fun and book a tour today!